"Pak Aziz Sattar" as people addressed him, received a state accolade at the age of 82. He may not be that lucky; God knows how long he would enjoy it. 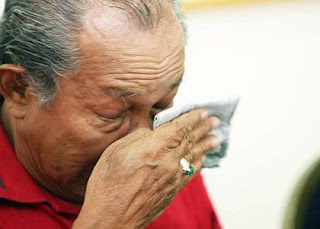 But better than never, you go, Pak Aziz! The only act that he stared but I wish he would not do it, was as a transsexual who was living on streets of KL. The way he was dressed in Baju Kurung with lipstick shimmering on his lips is really not suitable for a well-known icon. Maybe he tried to get easy money, but that was not the excuse!